There are many people in the industry that can be referred to as veterans and can be described as having a passion for audio, and some of those have contributed significantly to moving technology forward over the years. Co-founder of KV2, George Krampera most definitely falls into that category, as Clive Wilson found out. Before you attempt to read this interview turn, if you will, to KV2’s home page and observe the photo. If you ever thought a picture was only worth a thousand words, think again. To the far right of an otherwise empty theatre auditorium sits the lone figure of George Krampera, his face a line between puzzlement and enigma. The Mona Lisa but with the smile replaced by that somewhat Central European countenance that suggests weltschmerz. It is truly iconic, an allegorical depiction almost. Yet speak to many of the Czech’s disciples at his company KV2 - and let’s call them that rather than employees - and they are united in saying that George Krampera’s holistic approach to sound has but one goal… namely to make people smile. And if that is your mission in life, then where better to start than at the top? When a KV2 Audio ESR215 system was used at last year’s AES Conference on Sound Reinforcement held in Montreal, legendary producer and fellow inventor, George Massenburg, commented after mixing a local jazz band: “We simply don’t realise what we are missing until we hear a system of this quality.” To which AES chairman Peter Mapp added: “This is the best sound we have had at an AES Conference in the last 25 years.” There’s some serious gravitas behind those comments. That first remark would have made George himself smile, because his goal is also about plugging drop-outs missing content in the signal chain, to achieve perfectly articulated sound. So now turn back to that home page and read the caption underneath that picture. Just for a few minutes, forget everything else you have read about speaker system design and think about what truly defines clear, quality sound. Suddenly it all has more resonance… by packaging a lethal combination of transducer, electronics and acoustic design, it is as if some meteorite representing the source is hurtling off at hypersonic speed to the earth’s core. Replacing slick user interfaces with their own hybrid A/D conversion, and avoiding destructive interference of the HF his technique is as masterful and beguiling as anything the Sirens conjured up for luring people into places they thought they didn’t want to go. And that is the traditional world of point source. In an industry increasingly dominated by a confederacy of corporate suits producing homogenised systems, the febrile mind of George Krampera continues to challenge perceptions, old tenets and modern trends alike. In fact, as soon as our Skype call became active, he began immediately riffing on sound theories, largely bypassing the introductory pleasantries. 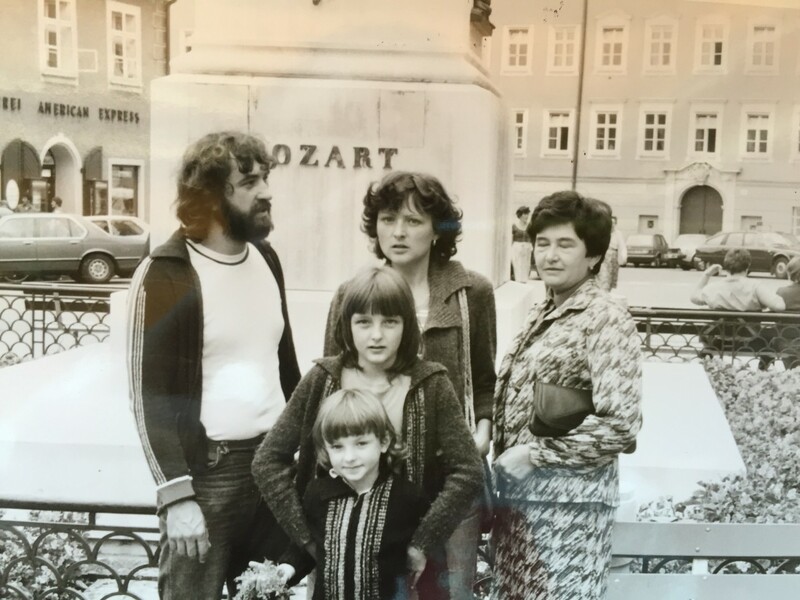 From building sound systems in communist Czechoslovakia, both before and after the Russian invasion of 1968, his journey both figuratively and geographically has taken him and his family halfway around the world. After producing some of the industry’s best-loved guitar and bass amps, and small powered speakers, his long-term destiny was fulfilled 14 years ago when he set up KV2 in the small town of Milevsko in Southern Bohemia. He will gainsay those who throw the word ’genius’ at him, stating that he has simply respected the laws of physics - and the ‘appliance of science’, that he has been learning since building his first radio at 10. The fact that George’s father had been one of the first TV and radio specialists in Czechoslovakia may help to explain his precocious talent. “The drawers were always full of tubes and resistors rather than clothes,” George remembered. Inevitably, it wasn’t long before, as a teenager, he was also surrounding himself with valves and transistors that would form the basis of those early super-heavy guitar amps, plugged with so many transformers, in the era before solid state. This was serious ordnance, and the holy grail of every audiophile, and applications ranging from radio and TV to military radar. Yet there was a pervading feeling of hope-lessness bordering on nihilism. “I didn’t see any future for my kids, they could not study at University. 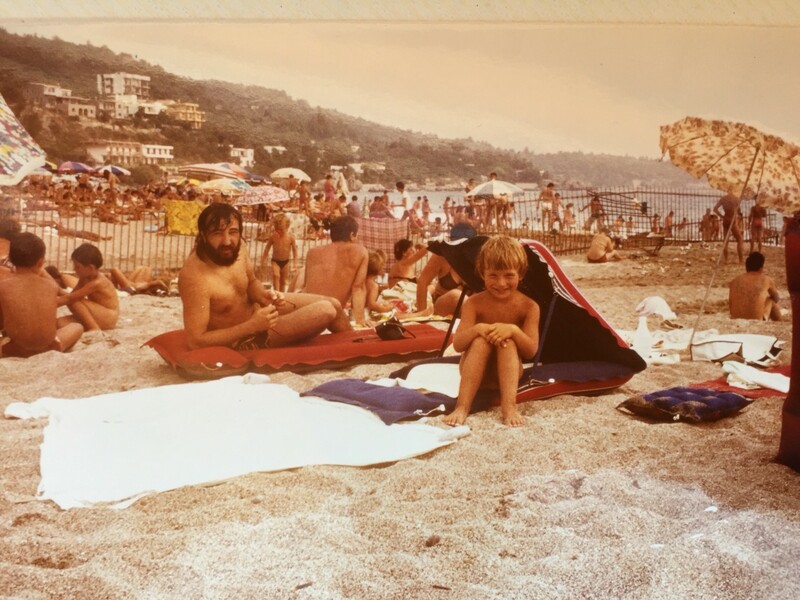 Everything was going down and I could only see things only getting worse.” And so in 1982, still in his early ‘30s, George loaded his young family into their car and left everything they owned behind to escape to Austria via Yugoslavia. Once safely across the border, George was granted asylum status and, after waiting six months for the paperwork to come through, his family emigrated to Canada - George, his wife, daughter Jana and son Jiri (George) who was five years her junior. “My wife was the best support I ever had,” he exclaimed with genuine passion. And yet arguably today that same observation could be applied to his son, who is KV2’s CEO, and a firm hand on the tiller after the uncertainties of previous enterprises. While the rest of the family has relocated to the Czech Republic, Jana has remained in Toronto. 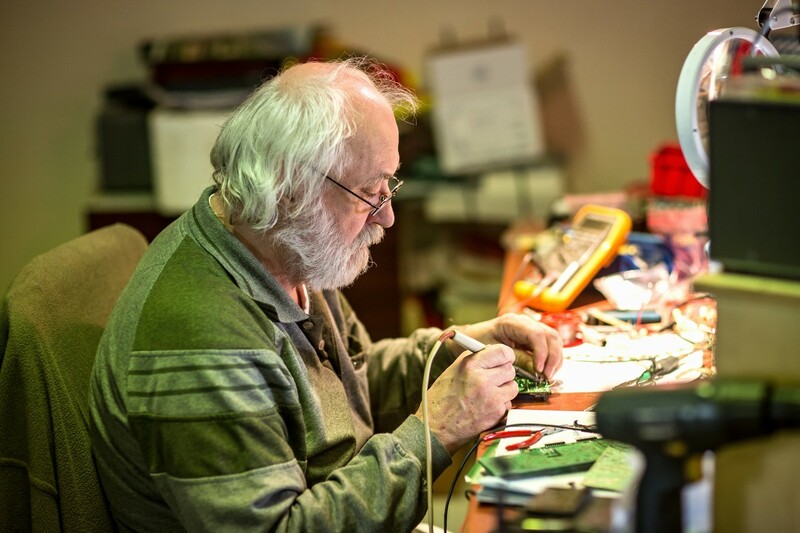 “I knew electronics very well and knew I could make a living repairing TV sets in Canada,” he continued. He remained doing this in Saskatchewan for 18 months before arriving at Yorkville in 1985. “They were trying to design guitar and bass amplifiers [under the Blok name] and I was in the right spot at the right time,” he said, tracking the timeline. The Cube tube amps from Roland were the big competitive models and George completely designed a new line of amplifiers to compete with these, taking on as his first assignment the Blok 100G guitar amp. “It was mid-July and I remember in one week giving them three different sounds. Six weeks later we had our first prototype and, one month later, we produced 100 amps.” George remained three years at Yorkville, designing various instrument amps, as well as the Elite line of processed speakers, using RCF drivers. He has always credited Yorkville for their influence on his career. This continued after he established his first company, Rexx, situated in Canmore, Alberta, where he built high quality and much loved solid-state guitar amplifiers (such as the classic Model 1602 Guitar Head). “We sold more amps in the second year in Canada than Marshall,” he exclaimed with obvious pride. Reasoning that the only part missing in the acoustic chain was loudspeakers, he returned to Europe to take up a job offer with Italian speaker manufacturer RCF, where he made an immediate mark developing their advanced transducer philosophy that persists to this day, and coming up with the ART composite active boxes. Quite what his peers made of the eccentric George is uncertain - but once his 40ft container arrived in Europe, he was there to stay. He was quickly acknowledged for his customised cars as much as his electronics nous. “I had a Volvo S80; it was a nice car but I didn’t like the road noise and so I improved it dropping the level by 7dB,” he said, matter-of-factly. He also maintains that when he joined the company, pro audio speakers represented 7% of RCF’s turnover and when he left it was 69% - but the canny Czech had negotiated a deal whereby he was paid by the percentage of sales. He also recalls the invention of the LICC [Low Impedance Compensated Crossover] where the damping factor is limited by the impedance of the network. By using a low inductance coil in series with the woofer, it offered superior and much faster transient response between woofer and tweeter. And, of course, George will forever be remembered for designing the original ART300 using Class-H amplification. He still favours the extra efficiency of Class-H technology, with its seamless transition and infinitely variable supply rail today, since it doesn’t require any filtering. But Phil believes that when RCF was taken over by Mackie, they didn’t want him to maintain his R&D resource in Czech - which led to a parting of the ways. Instead, George remained in Italy - but continued his transducer development work instead with B&C. 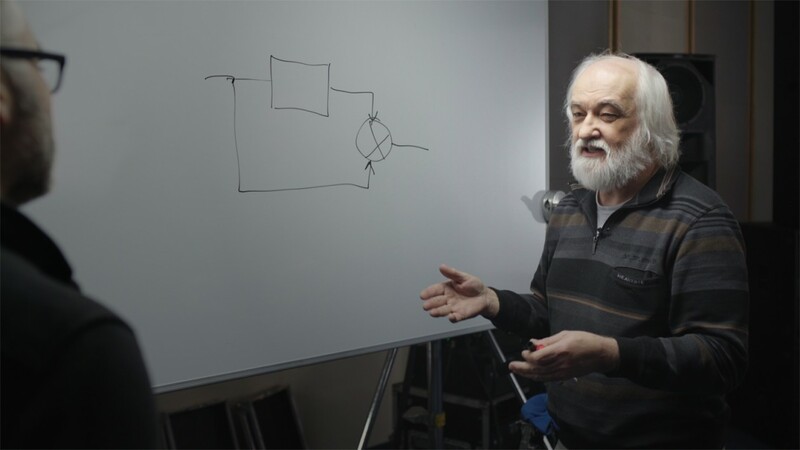 “I was designing Zero Inductance speakers with the extra coil on the centre pole piece. Distortion - mainly third harmonic - came from modulation of the inductance voice coil. The main problem was the source of distortion as the cone is moving, and so we set out to modulate the inductance and eliminate the distortion from 1.0% to 0.1%.” The zero inductance principle is one of the core values of KV2 technology today. By the late ‘90s, George had relocated back to his homeland, forming his own pro audio design company, Class A. Here, using B&C components, he moved into the large format world for the first time, working on an active system that could cover big crowds and distances with optimum quality and clarity. This was the genesis of Fussion speakers, which were to follow. In partnership with one of his old team from RCF, Marcelo Vercelli, the pair launched Fussion, taking the prototype of the new Fussion 3000 to the NAMM Show in 1999. Hearing the system in the demo room, Greg Mackie was so impressed that he offered to buy the company, assuring George he would be given a free rein to develop the system under the Mackie Fussion banner. And since Mackie had already acquired RCF, it wasn’t long before George was back in Italy. Phil Price remembered: “The Fussion system was unbelievable, the SPL was fantastic. It was a three-dimensional ‘out of the box’ sound and compared to similar size cabs the output was incredible. Also, the reliability of the system was impressive. You could square wave the Fussion boxes and it would take the devil’s job to mess it up.” But at the same time George was also tasked with designing Mackie commodity products. He recalled with a wry smile that “Mackie decided to build the Mackie Fussion 3000 immediately. So the first 100 components came from B&C and when they loaded the container they were celebrating, the fact they were selling a competitive product to RCF!” Taking Mackie into pro loudspeaker technology George claims the company went from 0% turnover to $35m. But his desire was still to build large format devices and carry forward the vision he had embraced from the beginning - but this time providing a full end-to-end solution in which he would have complete control not only of the signal chain, but his own destiny. KV2 was named after its founders, Krampera and Vercelli, and the ‘2’ denoted that it was their second enterprise. There was no shortage of people wanting to buy into any new venture that had George’s name on it, including Phil and Andy Austin-Brown, while another Brit, Jonathan Reece-Farren, who had successfully marketed the Fussion system through his Yorkshire-based company Fun Time, invested heavily after the departure of Marcello Vercelli, and became CEO. Other integral links were Alessandro (Alex) Pagliani, of Arcade Audio, the exclusive distributor in Poland, who joined as EMEA Sales Manager, while another of George’s close RCF colleagues was Andrea Manzini, who became involved with a new transducer manufacturer called Eighteen Sound. Working alongside Andrea, George co-designed components to match the products he wanted to develop. The company showed the prototype of the ES1, a small point source system, at the influential NAMM 2003 in Anaheim and their future looked assured. “It was my initial intention to make a small PA for bands which could be operated by one person, cover up to 1,000 people and fit into a Station Wagon,” he recalled. This was followed by the EX line, which like its predecessor was zero inductance. Today, George’s original R&D lab still stands, nestled by a stream down the road from the new factory. It was here that he developed the original range of KV2 speakers. Many of the new R&D team are studying electronics at the local university and their knowledge of cutting edge technology such as digital processing, combined with George’s years of experience and understanding on exactly how to achieve the best performance out of any piece of equipment, makes for a creative atmosphere “But I don’t care if it’s digital, analogue or potato technology, I just think in terms of sound,” is George’s mantra. But it is well known that he is no great fan of digital - at least in so far as its application in professional sound reinforcement is concerned. After the so-called Velvet Revolution in Czechoslovakia and breakup of the old Eastern Bloc, a number of companies went bankrupt. At the factory occupied by KV2, there were 600 women making shirts - 10,000 shirts a day. “95% of production went to Russia but from 1987 they stopped paying,” claimed George. “Czech broke from Slovak, but they never did it the way they did in Yugoslavia and start killing each other, it happened peacefully. Labour was so cheap, everyone was investing here.” And today industry is thriving - not least in the entertainment sector, with market leaders like trussing company, Milos and lighting manufacturer, Robe lining up alongside KV2. 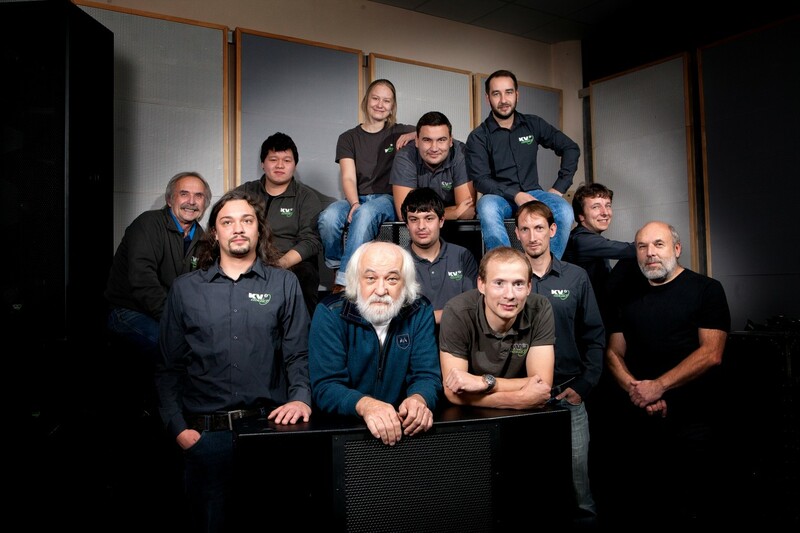 The pro audio manufacturer today has a fairly small roll of around 60 employees. They occupy 7,500 sq metres (housing a giant anechoic chamber), plus 1,800 sq metres for the paint shop and are adding another 1,000 sq metres on the side of the factory for woodwork, which will see the introduction of yet more CNC machines. The investment has been made possible by the security introduced by George Jr, who arrived from the wood and forestry and real estate industries in 2005 after the departure of Marcelo Vercelli. “The EU provided security so any business could run with the other countries,” he said. The legal system was set and stable and that was the most important aspect. 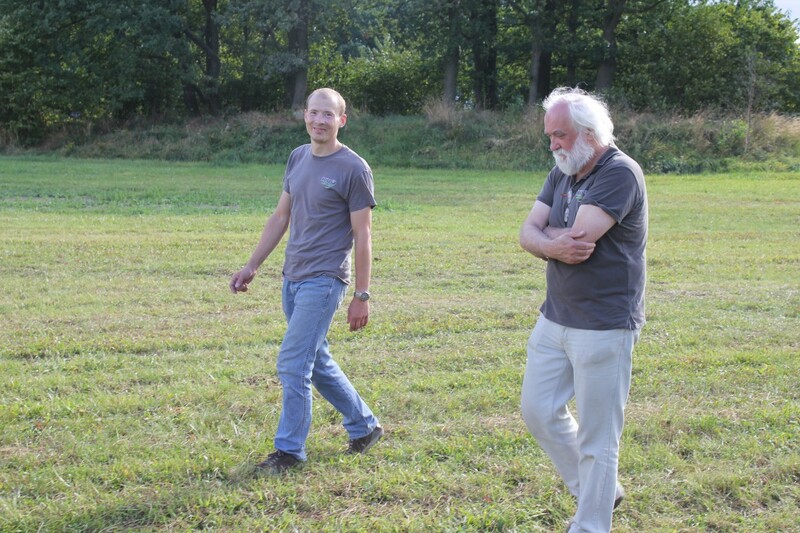 Meanwhile, George Sr had assembled a team of top engineers, people like the experienced Radek Stöhr, who headed the development of the SDD3 Digital Delay utilising 20MHz PDM conversion. It should also be noted that their converter from digital to analogue is running at 40MHz - making them unique in the market. “Everyone here is either a qualified sound engineer or musician. It’s difficult to find anyone this good - everyone is proud of what they do,” said George. 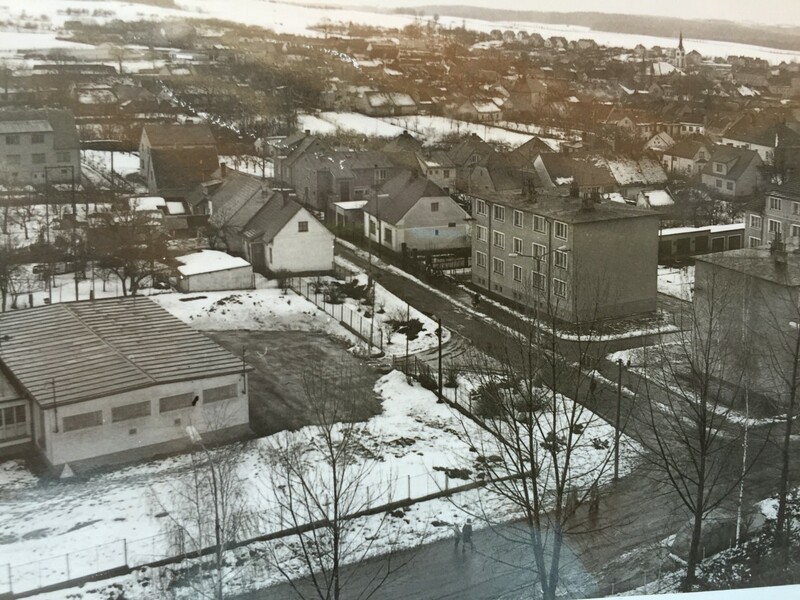 “Southern Bohemia is very peaceful and the workers are aware they are part of a team, part of the family.” I suggested that KV2 had carefully targeted different market segments with their products - for instance the VHD5.0 Constant Power Point Source Array for concerts, the ESR215 for theatre and so on. But George demurred. In his world, things are a lot more fundamental - all systems will fit all applications. He explained: “When we developed ESR we were told that’s not what the market will accept or what it needs - yet it’s something that the theatres love. If you have a one point system, you are providing the same sound everywhere in many cases. Theatre systems are the same as DJ sys-tems. If you put in an open system that’s precise, it will work in any application.” The only product he has ever designed on demand is the discreet ESD5 5-inch, a powerful coherent solution for theatre under-balconies and front stage fills, with an impressive dynamic range. However, it is worth dwelling on the impact KV2 has had in the otherwise closed world of West End and Broadway theatre with the adoption of the ESR Series. 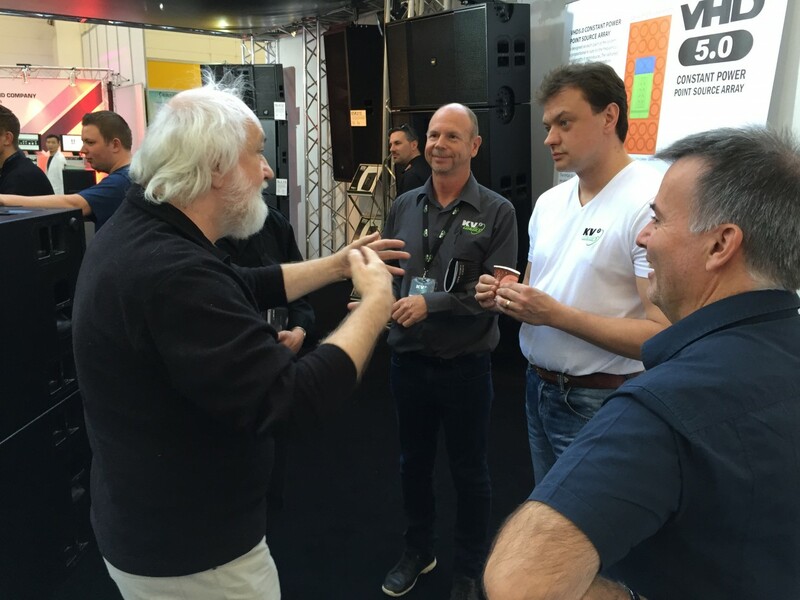 After being impressed by demos at Prolight+Sound in April, Andreas Hammerich of and Michel Weber, theatrical sound coordinators for German production company Stage Entertainment, began discussions with award-winning sound designers, the late Rick Clarke, John Shivers and David Patridge about the possibility of implementing KV2 sound reinforcement into its forthcoming shows. It’s a difficult concept to get your head around until you realise that George’s career has been all about turning points. In terms of consequence, had he not taken this fork in the road his career might have spiralled in a totally different direction. Needless to say, at 66, KV2’s founder has no plans to slow down. In fact, said his son and successor, the company is busy diversifying. 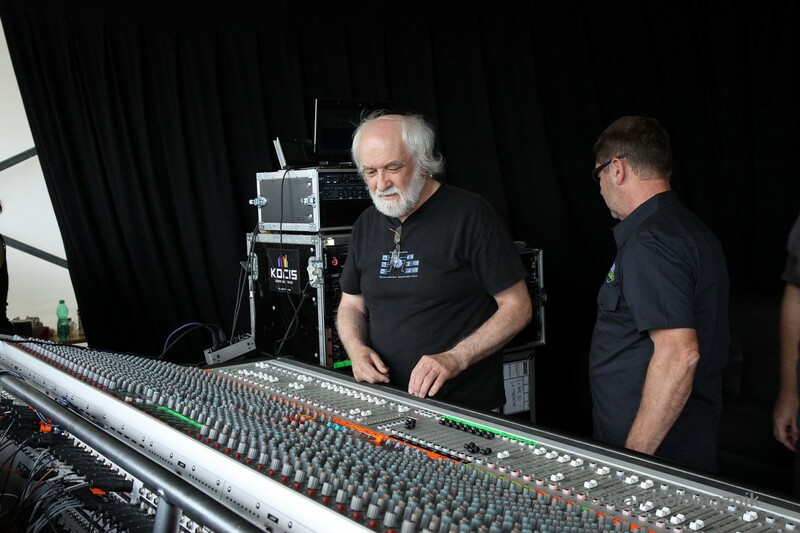 Taking full advantage of the momentum - which notched up a gear when Australian Dave Croxton took over global sales in 2011 - they will soon be turning to mixing consoles. “Digital controlled analogue consoles is the future,” believes George Jr. “This is something we have been working on for six years and the circuit is already designed. It is definitely something that people will tell us is not sellable or usable - and when that happens we will know are onto a winner,” he said sardonically. And so what legacy will his father bequeath to the pro audio world? Jonathan Reece-Farren, who today heads up KV2 Europe, has no doubt. “He should be remembered for pushing boundaries and for refusing to simply follow today’s market forces, which he believes severely compromise and limited everybody’s audio experience,” he replied. “He thinks people should have a choice and if they care enough about the sound, he will provide them with a solution. Line array had the momentum, but the tide has now turned. He strives to deliver the atmosphere and emotion from a performance direct to the audience and loves to see people smile when they experience that for the first time.” Here’s that smile again! But, most tellingly, he says that George exposed him to sound he had never experienced in his life. And he is not alone. “While everyone else is trying to bend the laws of physics, he takes simple concepts and is at one with nature. When we released VHD2.0, large format high defnition point source system at Frankfurt in 2006, one [pro audio] journalist commented that it would seriously change people’s thinking.” It had indeed been a memorable exposé. Using just one own VHD2.0 mid/high enclosure per side, with accompanying subs on the ground, they certainly held a rapt audience in amazement. But possibly Andy Austin Brown provides the most apt summing up when he said: “Although I was once a professional trumpet player, I know there will only be one Mozart - [geniuses] come along every 500 years and I would put George in that category. There is not one ordinary person in the company, they are constantly pushing the boundaries of musical reproduction. George is constantly innovating but remains completely resilient," he said. “If he is not given due recognition in his lifetime, people will one day look back and say ‘everything he said was correct’.” Meanwhile, in Milevsko, they continue to believe that they will change the world.